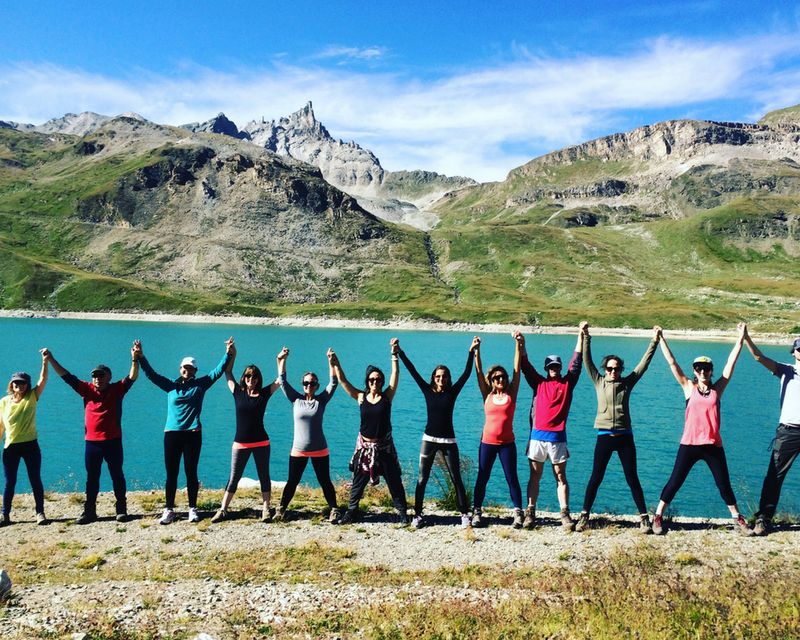 Join us in the beautiful French Alps for an alpine hiking yoga holiday adventure. If you are a lover of the mountains and enjoy being in the great outdoors this is the hiking yoga holiday for you. 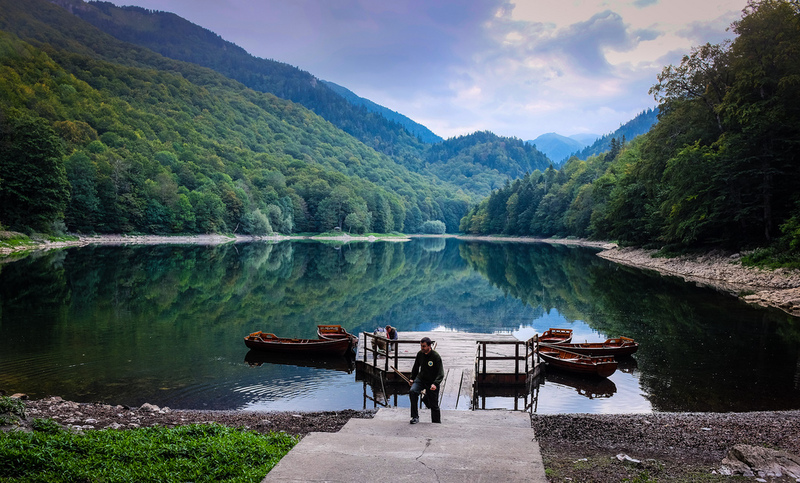 An exciting week of adventure activities during the day beginning with yoga and then a choice of hiking, white water rafting, paragliding or wild swimming. 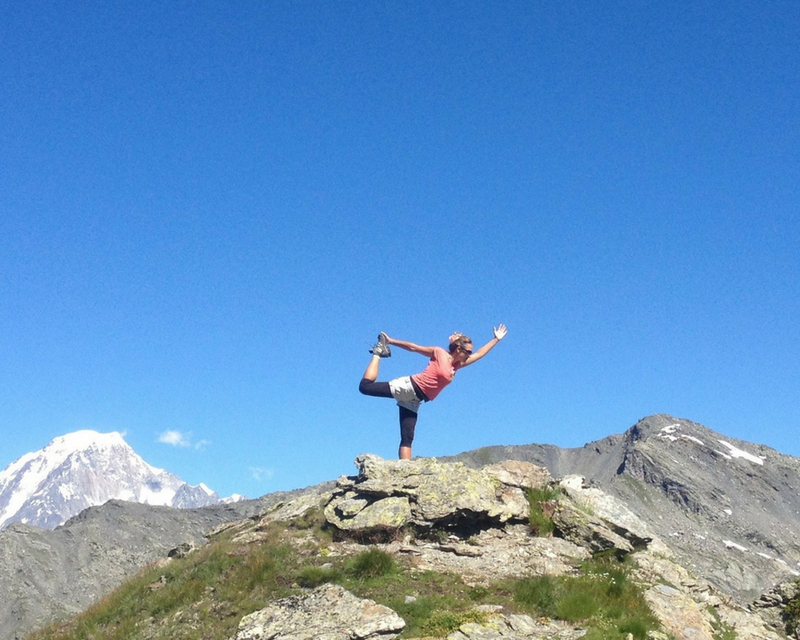 The hiking yoga experience is unrivalled here. After touring around the French Alps, we love hiking in this area. With so many routes to choose from and breathtaking views, you won’t want to go home! There’s nothing like a hiking yoga holiday to exhilirate and enliven body and mind. After stretching your hiking limbs, soothe them with a sauna and hot tub, or treat yourself to a massage. 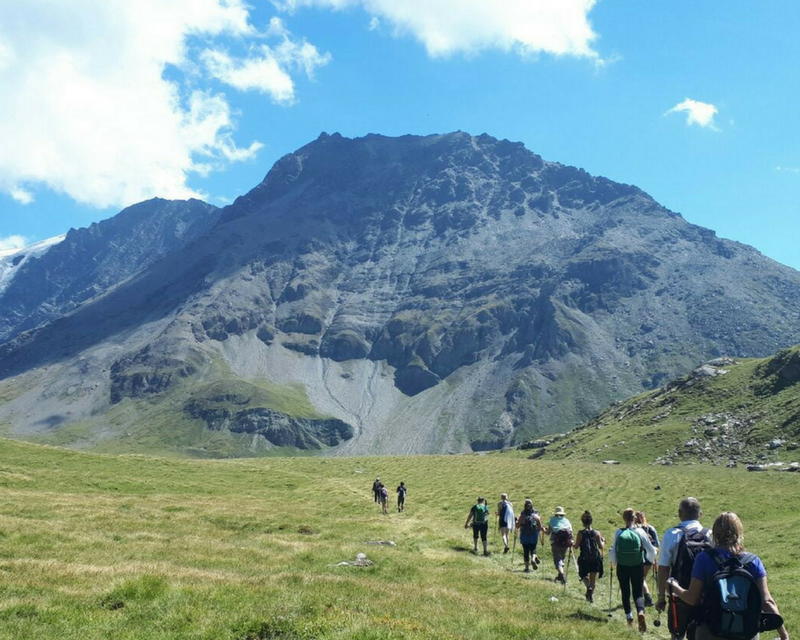 We have been running our hiking yoga holiday since 2008 and have worked out the perfect formula for your active relaxation. 10% Early Bird discount available when you book 12 weeks before the hiking yoga holiday start date. 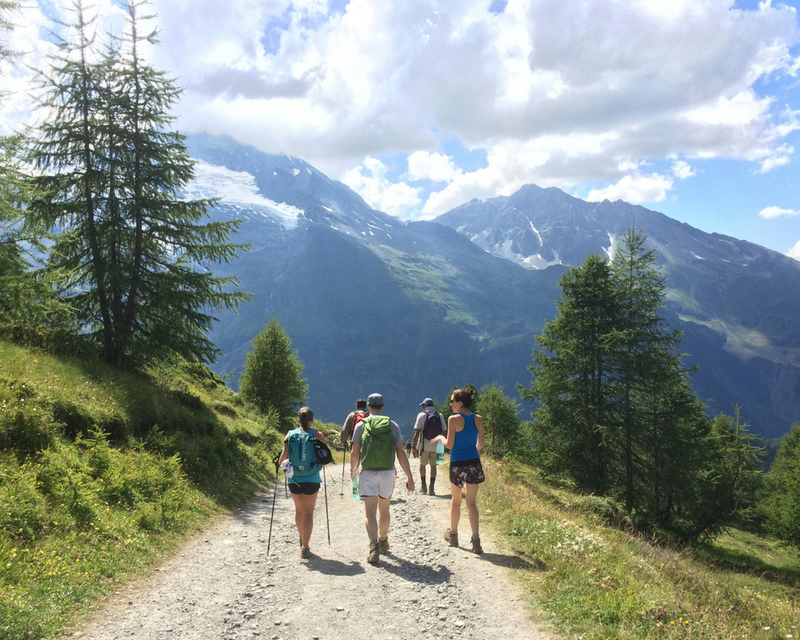 On your hiking yoga holiday, step out of the chalet and the mountain trails are yours for the picking. If you’ve not visited the French Alps in the summer time, you’re in for a treat. As the winter snow melts away in the spring, the mountains take on their summer mantle of bright green grass and colourful alpine flowers. The views are equally as spectacular in the summer as they are in the winter. After a long walk reward yourself with a swim to cool off in a refreshing glacial lake. There are so many hikes to choose from, at blue, red or black levels. 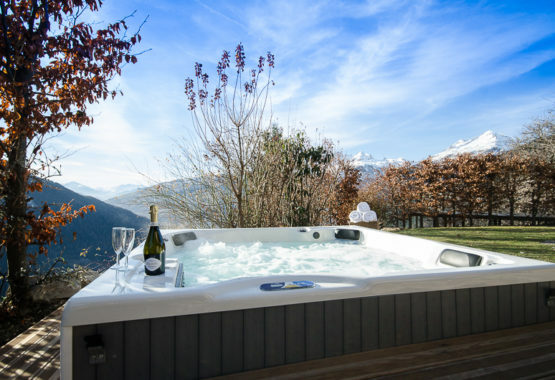 Enjoy views of Mont Blanc in the distance. If you feel like a day off from walking why not try paragliding, white water rafting or enjoy the Olympic sized pool in Bourg St Maurice. 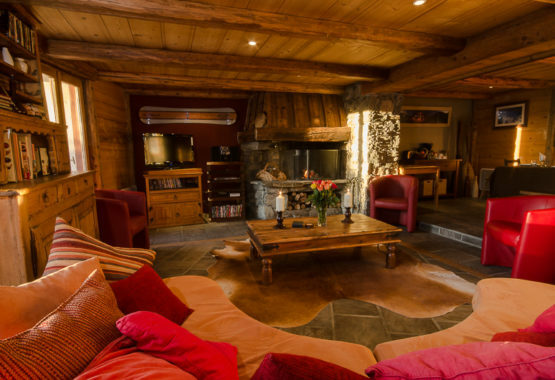 Or simply relax in the garden of the chalet and catch some sun whilst enjoying a good book. 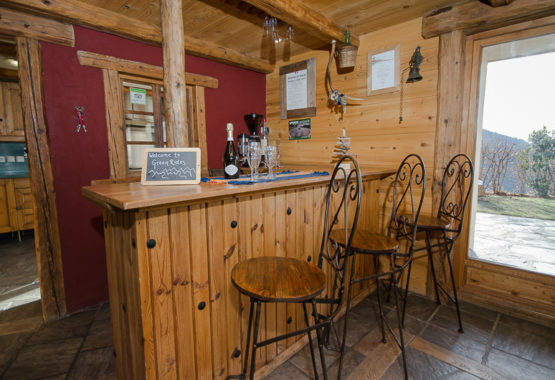 Our morning classes are held in the yoga studio of the chalet. 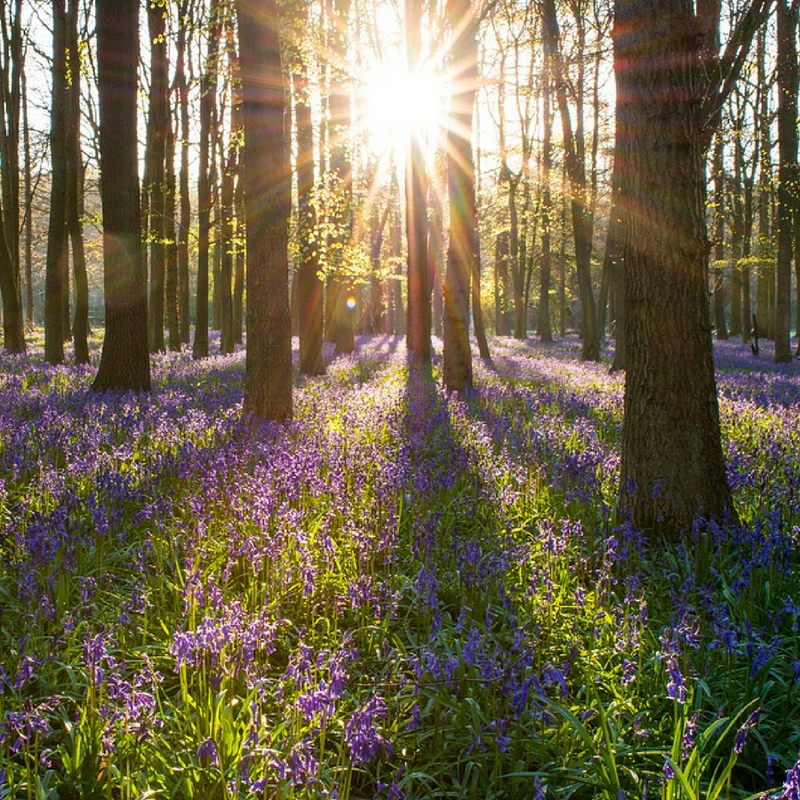 Awaken your body, paying special attention to warming those muscles, stretching out the legs and building stamina for your day exploring the breathtaking environment. After your full day hiking, white water rafting or parapenting, return to the Auberge to unwind and relax tired bodies with a restorative evening yoga class. 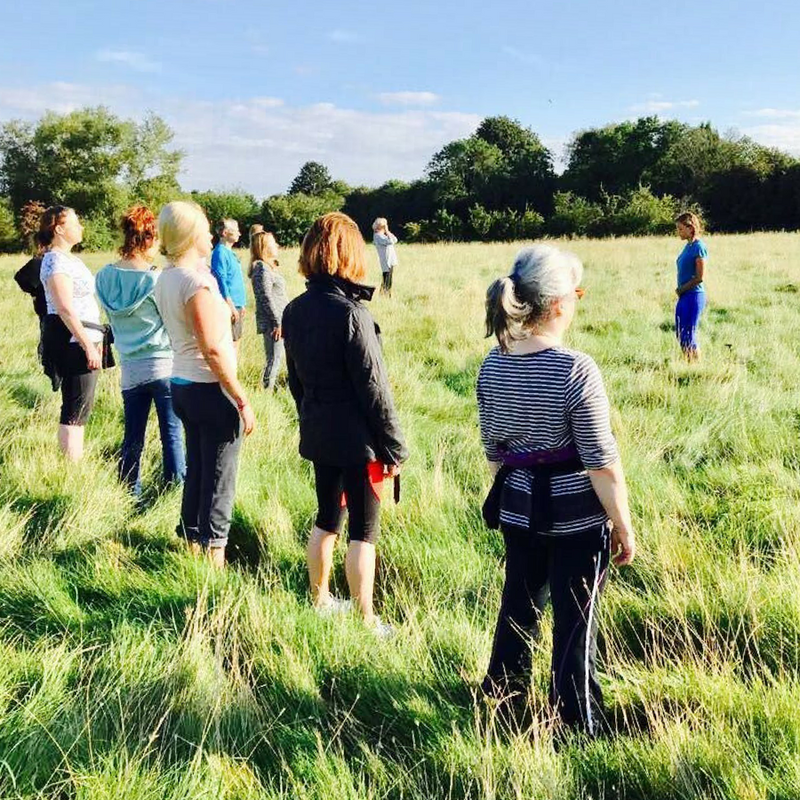 This gentle session will vary each evening and include pranayama and meditation to help mind and body really let go and allow you to enter a state of deep relaxation. This is one of the highlights of the trip! Wake before dawn and bask in a silent group hike in darkness through mountains that feel your own, with no inhabitants apart from you and the marmots. 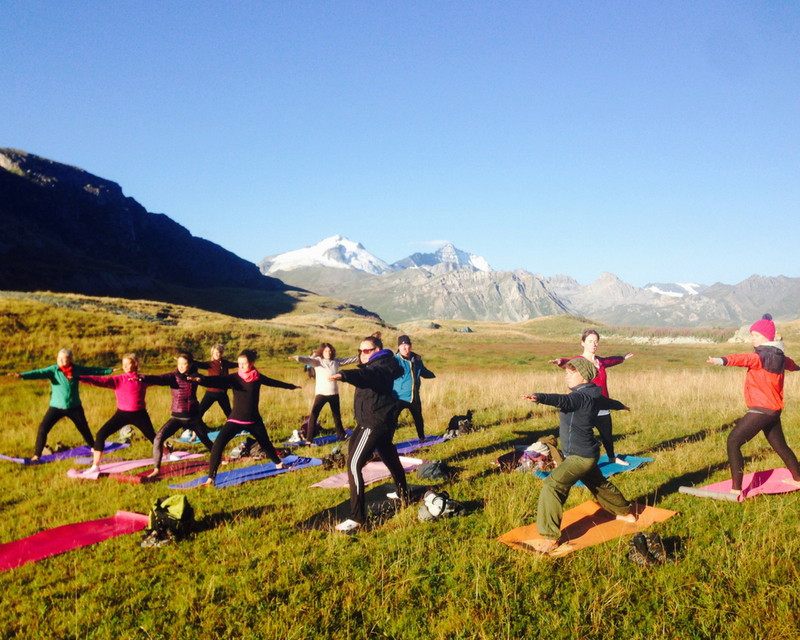 Roll out your mats at one of the most overwhelming areas of beauty in Europe, and enjoy a full flow class, feeling the heat of the sun warming your body as the sun rises behind the mountain. A true once in a lifetime experience that’s not to be missed. 2 daytime hikes with packed lunch are included in the price, but there are another 2-3 optional hikes throughout the week with a packed lunch. 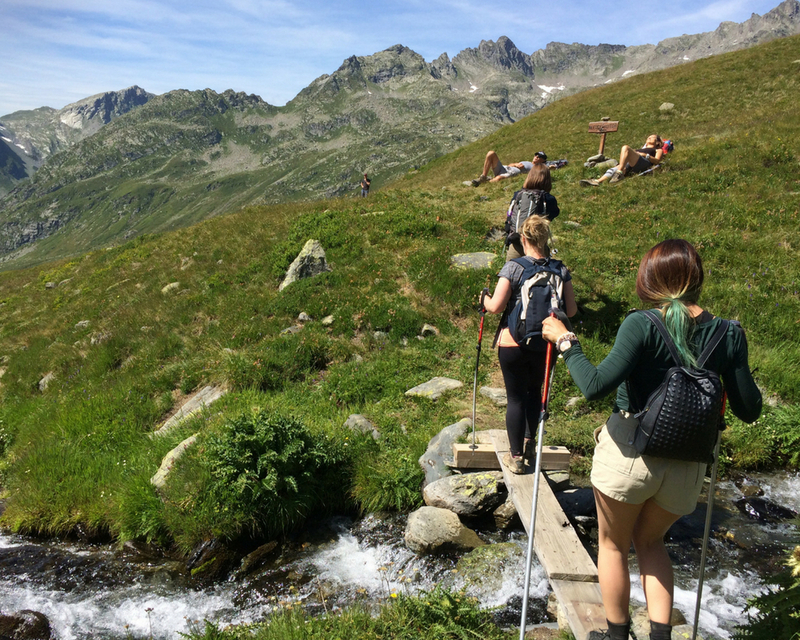 These hikes take you to glacial lakes for wild swimming, waterfalls and stunning views of snow-capped Mont Blanc. €25 for the day. Whitewater rafting takes place daily and trips are easily arranged. The standard route takes in two grade 4 rapids and two grade 3 rapids and costs €68. Hydrospeeding is available for the adrenaline junkies on the Isère river which is €65. (Also known as paragliding) is possible here with the most stunning views of the mountains. This costs €90. It’s a mountain biker’s paradise in the local area, with a lift system operating in the summer. You can carry your bike up and have lots of down-hill adventures. We have routes written out and mapped upon hand-out sheets for our guests, and bike hire can be arranged. On the days off from adventure, to relax and soothe with fantastic local therapists. 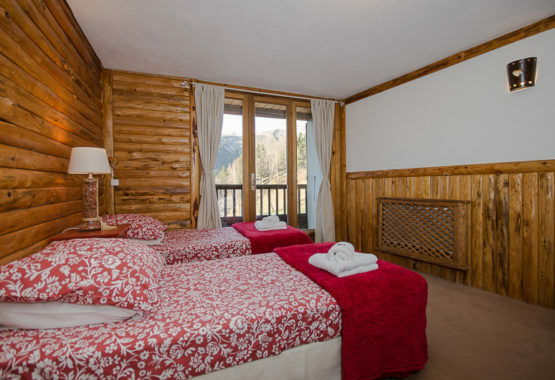 There is an Olympic sized pool in Bourg St Maurice which we can arrange lifts to get to, and a freshwater lake nearby, complete with sandy beach and cafe. The hiking trails around Ste Foy and elsewhere in the Tarentaise Valley are easily accessible on foot and the hiking maps are excellent. So plan a hike, choose the level and off you go! They can last for as little as 2 hours or up to 6 hours, it’s up to you. More information is sent out before the holiday starts with an itinerary so that you can choose what you would like to do. 8am: Wake up with hot water and lemon. 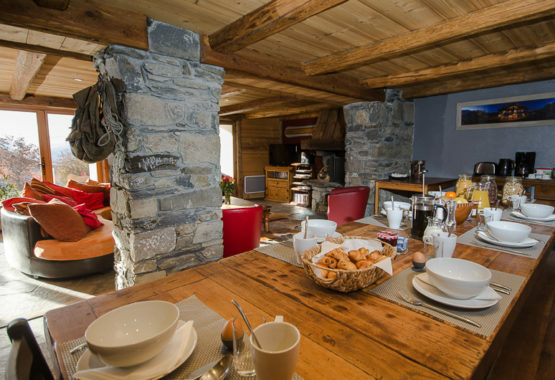 11am-5pm: Time for activities – Walking, hiking, climbing or just relaxing in the chalet. Massage and other holistic treatments on offer. Day 1: Day hike from the chalet to get those hiking legs activated. 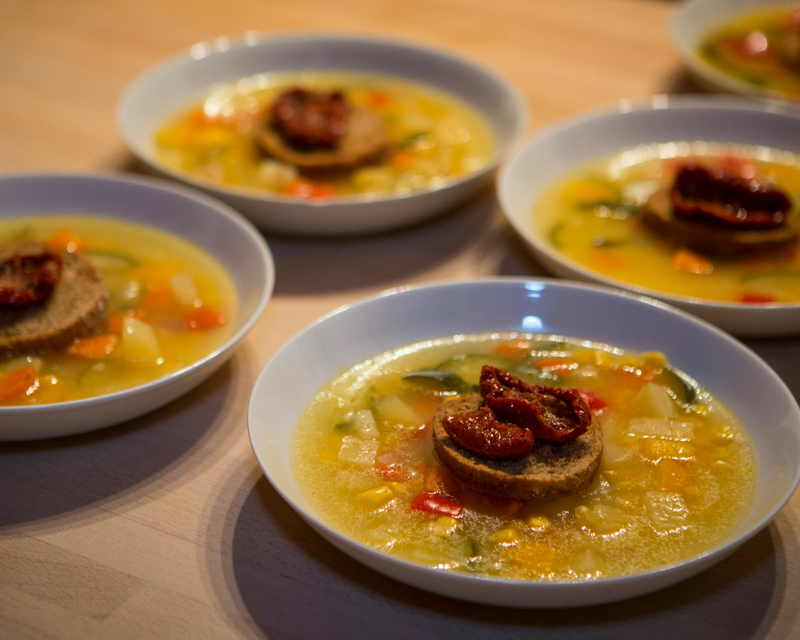 With packed lunch included. 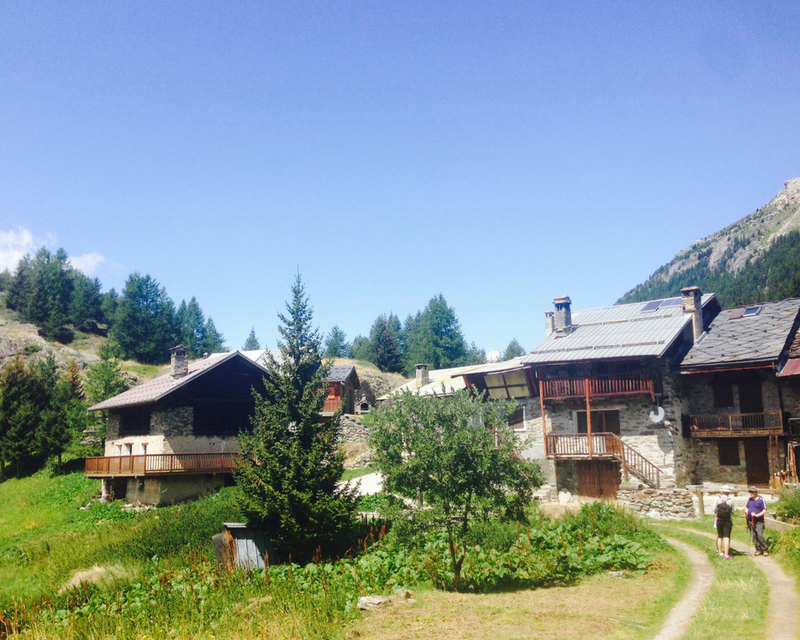 Day 2: Day off and relax at the chalet, go for a walk from the chalet. 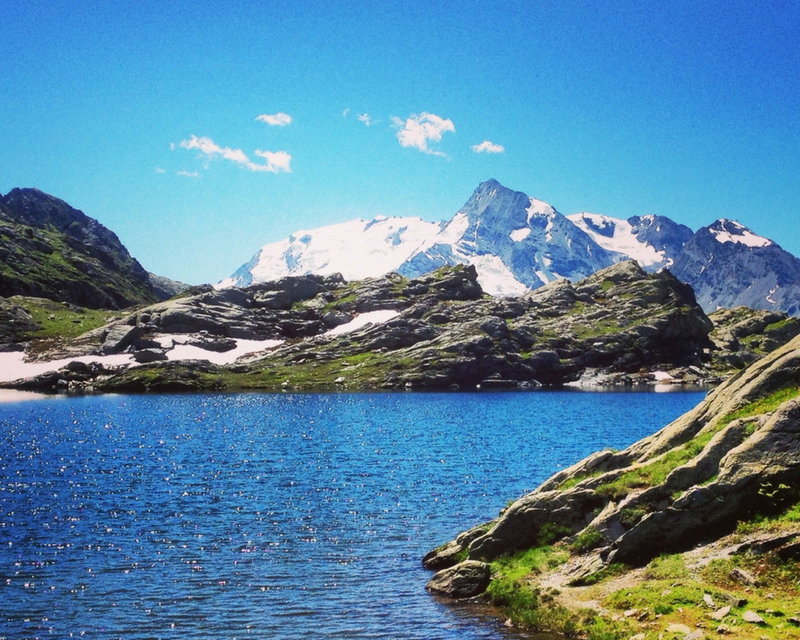 Day 3: Day hike with packed lunch to 2000m to see views of Mont Blanc – enjoy a wild swim. Day 4: Day off and relax at the chalet, go for a walk from the chalet. Day 5: Sunrise Yoga up the mountain followed by early morning hike and afternoon to relax or go paragliding. 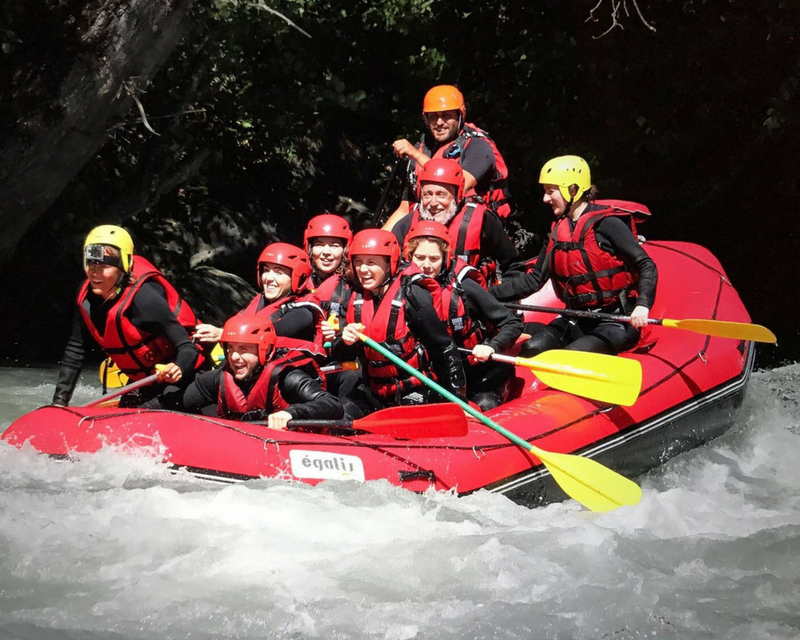 Day 6: White water rafting, mountain biking, swimming or shopping in Bourg St Maurice, day off, treatments. Please note that this schedule is all optional – it is your holiday so you can be as active or relaxed as you like. 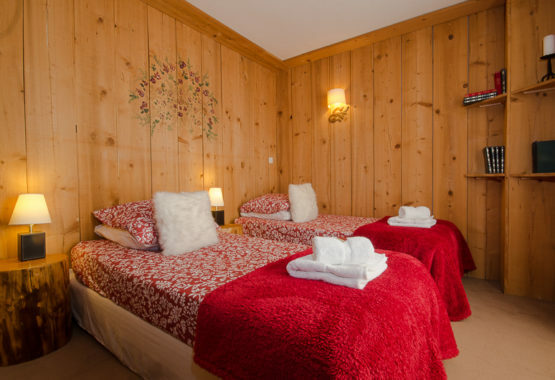 If you feel like you need a day off to relax at the chalet, have a hot tub and sauna or a snooze and a massage then do it! 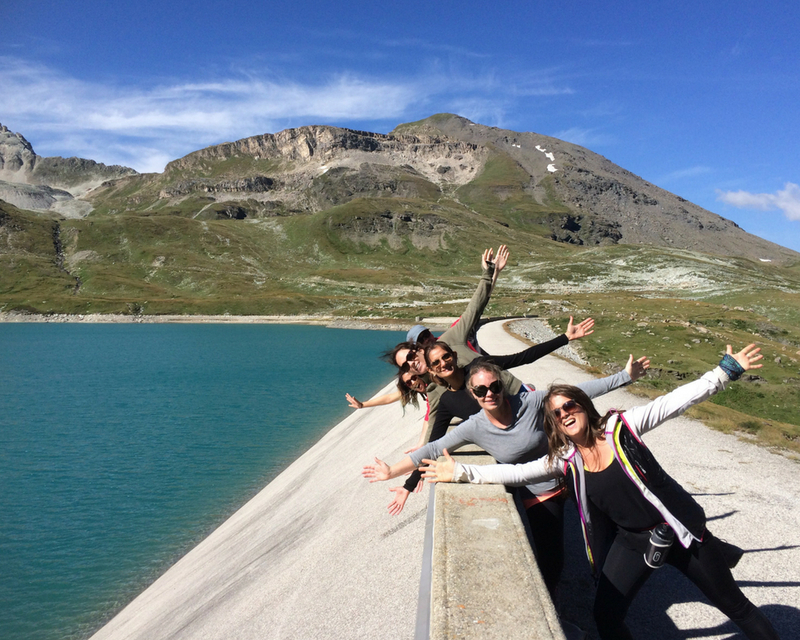 This hiking yoga holiday is action packed, but remember, this is your holiday so be as active or relaxed as you like! 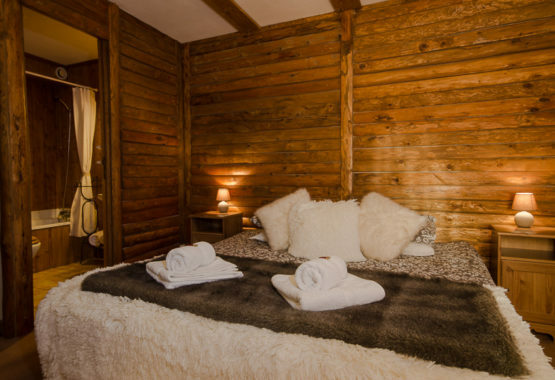 The chalet is beautifully finished with a large yoga shala and plenty of outside space for relaxing or if you take a day off there is a hot tub, sauna and relaxation area downstairs on the lawns. 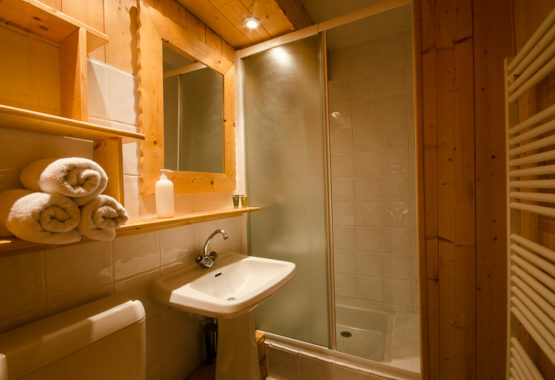 There are 6 bedrooms, 4 of which are with ensuite bath/shower rooms. There are 5 bedrooms on the first floor. 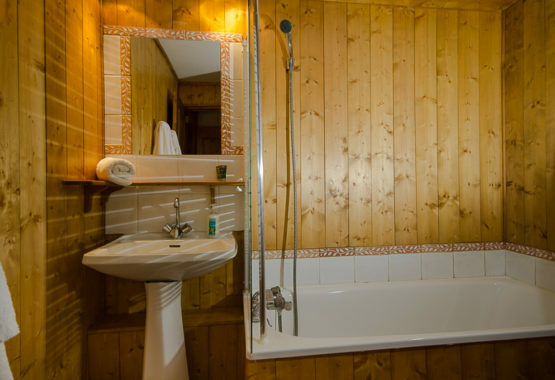 One single room has an ensuite, and the other shares a bathroom with a twin room. 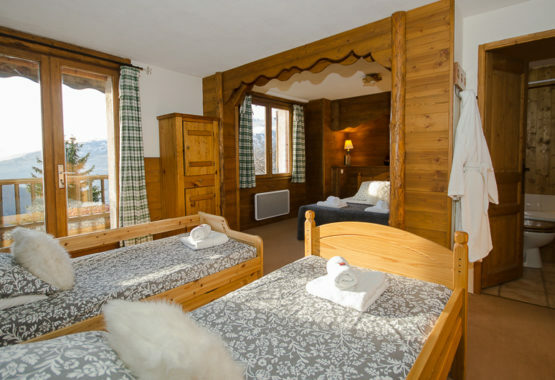 All the bedrooms are decorated in a Savoyard style to reflect the surroundings and are cosy and tranquil. Outward bound flight to arrive before 2pm. Homeward bound flight to leave after 2pm. This is so that we can arrange 1 group transfer, which will be included in the price. If you arrive outside of these times your transfer will be out of our control and considerably more expensive. The train is a mere 20 minutes drive from the chalet whereas the flight transfer from Geneva is 3 hours. The slow way to travel, take in the countryside, have a stop over in Paris if you fancy, make the journey a part of your adventure. Rail Europe don’t release train tickets until 3 months prior to travel. Please look at the options below and book the recommended train times for your transfer. Please call Rail Europe to find out more info on 0844 8485848 or go to http://uk.voyages-sncf.com/ for more info. "In my job as a travel journalist, I’m very lucky to have experiences several different yoga retreats. AlpineYogi was one of the best. Our teacher had real integrity and care, plus the group was just the right size. The combination of Alpine walking and yoga really worked. I was stretched in all the right ways. " "Excellent value. A very nurturing and generous venue and yoga practice. I would highly recommend to others! Surpassed all expectations. Great organisation of activities. I have found this holiday truly inspiring and life-changing. Thank you. " "This week has surpassed my expectations. I have met some amazing people and the combination of the yoga, stunning scenery and great hospitality has made it a holiday I won’t forget for a long time! " "All walks were fab! 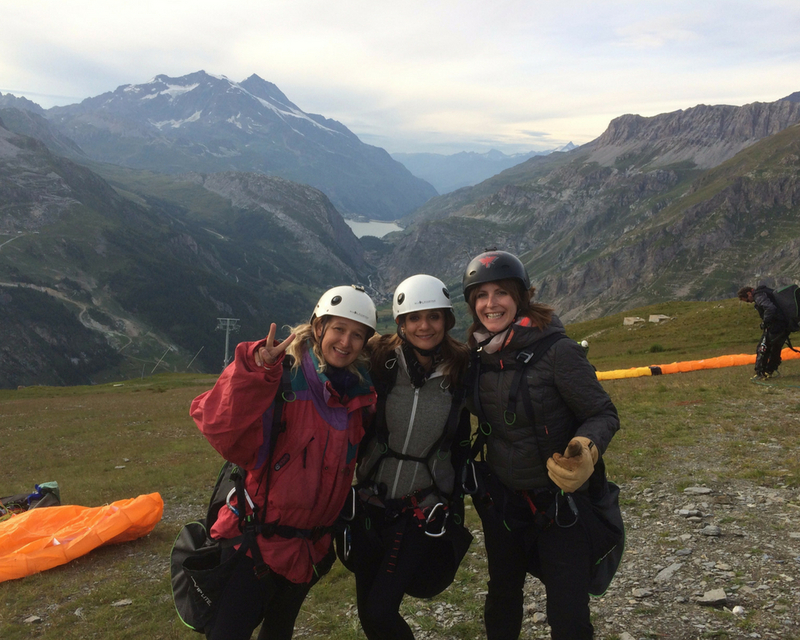 Paragliding was the best and I think there was a good selection of activities and Cycling in the Bourg-St-Maurice gets 10/10! "